One thing Twitter and other SM have done is destroyed communication barriers - between celebrities and fans, voters and politicians, clients and store owners. Now, people can tell Sean Penn he’s great (or not) from any part of the planet, and inform humanity about how the coffee they ordered from eBay ended up tasting like soil. Also, in an unlikely scenario - customers might say something nice about the online store they’ve shopped in or plan on shopping in. And these rare cases are what we’ll focus on today - the times when internet users are showing interest, but not yet making purchases in your store. We’ll describe how to increase the number of them and convert these potential customers into the actual ones - all with 4 simple tips. First of all, make sure you’re available - create, manage and regularly update social media accounts. They should be crowded and busy at all times to attract attention. Fill the pages with engaging content - funny topical videos, jokes, video and textual guides, analytical forecasts interesting for your target audience and so on. Encourage discussion underneath each post and appreciate every comment. Basically, humanize your profiles to the most extent. Be sure not to generate a character of an egomaniac. People hate self-centered online stores just as arrogant humans. Thus, don’t talk exclusively about your achievements and service updates - that’s boring, and pushes potential clients away. Stay politically correct. I know, that’s limiting and frustrating at times, but absolutely necessary when you run an online business. Nothing scares customers off quicker than insensitive remarks about delicate subjects, so stay off of them, like a polite British gentleman. Retweet (pin, repost etc.) industry experts, simply interesting people and, most importantly, your followers. As I’ve mentioned already, it can’t be all about you. When someone takes time to write a testimonial, share a post of yours or simply mention your shop in a positive context - thank him. It’s an encouragement to leave even more good feedback. After your brand has a number of loyal friends think about rewarding the most active of them (and, then, boasting about how generous you are) with material goods. That will spike enthusiasm of both beneficiaries and new clients, nudge them to buy, bring their BFFs to the store and keep on exposing it on the web. Entertainment is a crucial component of attracting clients but it has nothing to do with driving sales and bringing profits. The trick to creating great content is finding the right balance between fun and purchase invocatory messages. Useful, funny and filled with lots of tempting offers, that’s how you want customers to think of your posts. So, let’s try to gain such objective. Let’s assume you’re selling sushi making kit. Your content idea #1 in that case is famous sushi recipes. Additionally, you might tell stories of invention of a certain kind of sushi, explain origins of its name, bring up fun facts, provide simple manuals for making it, funnily and in casual simple terms. Then, along the lines, mention that all the ingredients for it are available in your store. Moreover, you sell them for a special price till two weeks from now, and give a possibility to win a special sushi recipe book signed by a famous master. What do you say - would that article intrigue sushi lovers and convince them to make a purchase? I think they’d be all over your shop. 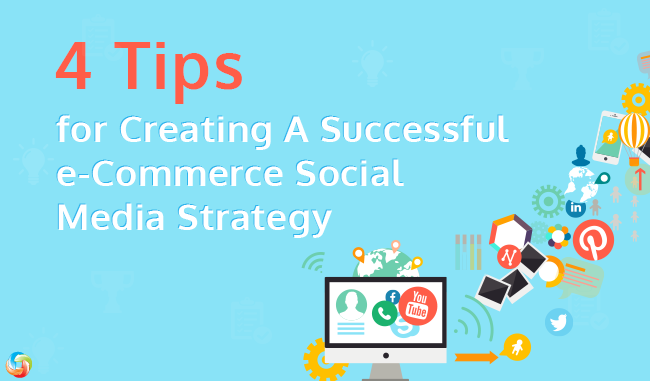 Just as other marketing activities, the social media campaigns you conduct, you should review on the regular basis. That way, it’d be clear if your efforts are purposeless or not. Facebook Insights - great for looking how good yours and your competitors’ posts do on Facebook and for determining the best time for content publishing. Bitly - convenient, free URL shortener that permits to track stats of the shortened links you’ve posted on social media. Tweriod - a Facebook Insights for Twitter. It too shows when’s the best time to post, when your tweets are most likely to be viewed by your audience. Buffer App - a useful tool that allows posting to Facebook, Twitter and other social media pages with a delay. You choose content and appoint the time you want to see it published. Then, you use plugin’s own analytics tab - to track which post are most successful. Google Analytics - the king of analytics tools provides great social media options also. Its Acquisition tab with Overview and Channels sub-tabs shows you which social media channels bring you the most visitors, so you can divide your marketing efforts efficiently. Millions of people hang out on social media daily, people that might be interested in your products and services. Not to reach out to them would be an unforgivable mistake. We hope sincerely that the four presented tips will help you entertain, engage and convert your social media fans. If you have any curious ideas on the topic too - feel free to suggest them in the comment section.